Buying a conservatory is like buying a new piece of clothing: you need to be sure that it fits you exactly. Thanks to our brand new conservatory showroom in Lincoln, you can experience your conservatory before you buy it, ensuring that you’re completely happy before you buy. Our new conservatory showroom in Lincoln means that you can experience a range of uPVC conservatories up close, before you commit to the real thing. A showroom filled with finished conservatories gives you a great chance to see how the finished structure actually looks in reality. Come along and see for yourself if you’re in Lincoln, Sleaford, Boston, Spalding, Newark, Grantham, Gainsborough, Horncastle, Market Rasen, Bourne, Louth, Skegness and the surrounding area. Cliffside are experienced specialists in the manufacture and installation of double glazed uPVC products. We’ve been trading for over 50 years and we pride ourselves on the exceptional quality of our products, our installation and our customer service. 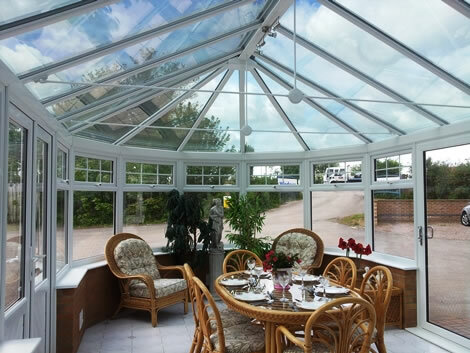 Our team of experienced craftsmen ensure that every one of our conservatories is installed to the highest possible standard. 1. Head west on Corporation Street. Take the B1308 toward Hungate. 2. Take the 1st left on to Hungate. 3. Turn right onto Park Street. 4. Take the 1st left onto Mint Lane. 5. Turn left onto Mint Street (B1003). Continue along this road. 6. Turn right onto Broadgate (A15). Continue along this road. 7. Continue onto Canwick Rd (B1188). 8. Follow this road. The destination will be on the left. If you’d like any more information about our products or services, or need further information about our showroom, please give us a call on 0800 9700 190. Alternatively, send us a message if you’d like a quote or to book an appointment with a member of our team.